The most popular classic tank-themed game for android is here! ! ! It is different from other tank-themed games! ! ! New power-ups and weapons! ! ! Realistic graphics and sound effect! ! ! More realistic and thorough experience! ! ! Don’t hesitate! Just download it! ! 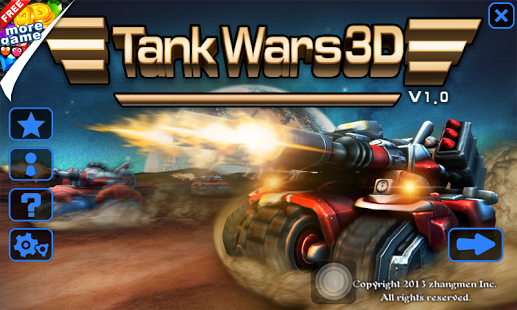 Tank World War 3D is an eye-catching classic tank-themed game. 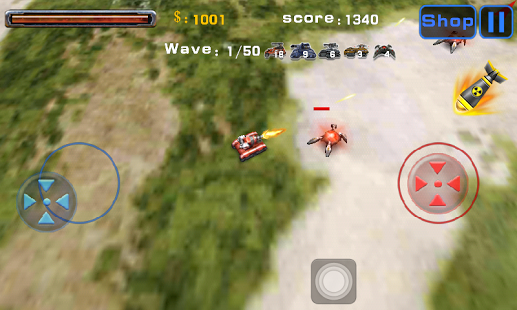 3D graphics, simple battling ways, creative quest modes, and realistic battling exploding effects! Bring enjoyment of both visual and auditory to you! It has 50 levels in the game. 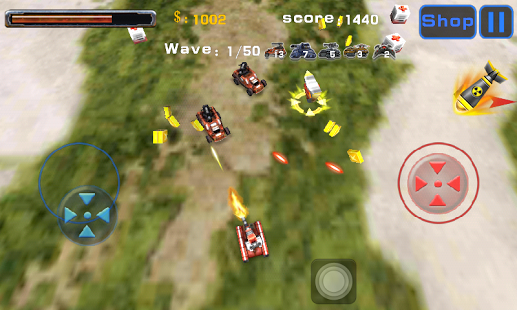 The game play is simple: tanks can attack automatically; tap the red icon to control directions of battery and the blue one to move tanks! Just tap the icons of power-ups to use them in battle and pick up power-ups dropping from battlefield by moving tank to them! ★★★★★ Vivid background music is in harmony with the game! ★★★★★ Add different game scenes and power-ups! ★★★★★ Share fun with your friends by QQ, WeChat, SMS, and Email!